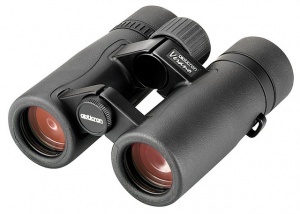 Named after the Spanish word for summer because of the exceptionally bright images attained, the Opticron Verano BGA HD 8x32 build on the strengths of the previous model and features a fully revised optical system that delivers outstanding specification elevating them to a new performance class. OASIS® involves a 64 layer coating process applied to the reflective surface of each roof prism. OASIS® improves light transmission through the prism to give exceptionally clear and sharp optical performance.